The new set I used is called Pick of the Litter. I just KNEW this sweet image would be fun to color with Copics, and I certainly wasn't disappointed! Once it was colored in, I stamped my sentiment by masking parts of a couple different sentiments from Hand Lettered Thanks, and die cut the front panel with an Avery Elle die. Next, I wrapped a good bunch of silver thread around and tied a fluffy thread bow. 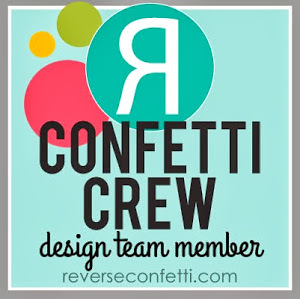 Mounted with foam adhesive on my pattern paper from American Crafts, then added a generous sprinkling of sequins from Pretty Pink Posh and a few enamel dots. Thanks for dropping by today! Hope you are having a wonderful day!!! Hello! 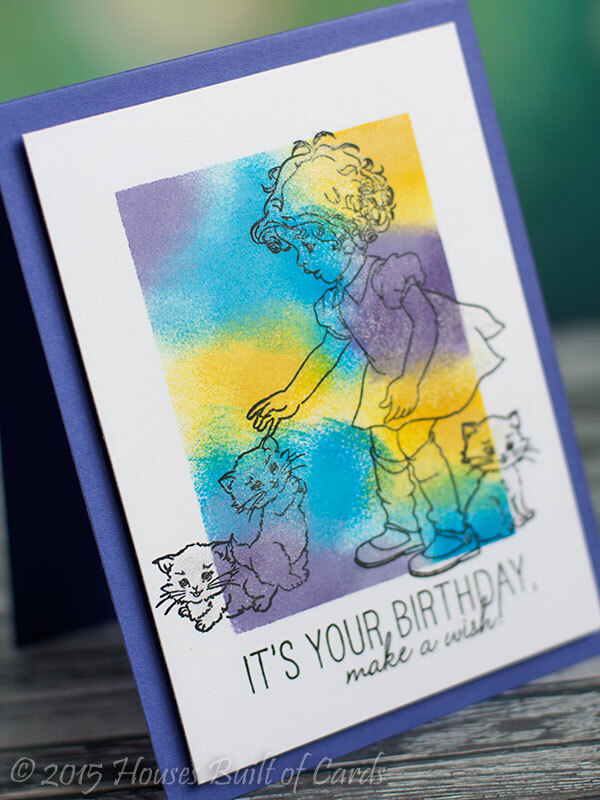 So, last night I had a bit of time and thought I would sit down and play along with a challenge I have been wanting to do for a while - the Simon Says Stamp Flickr Challenge. 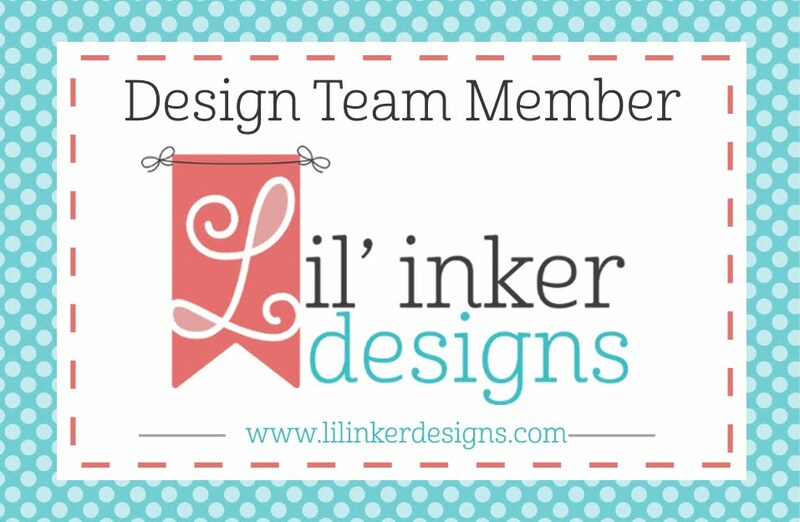 This month they are teaming up with Lawn Fawn, so I REALLY wanted to join in. 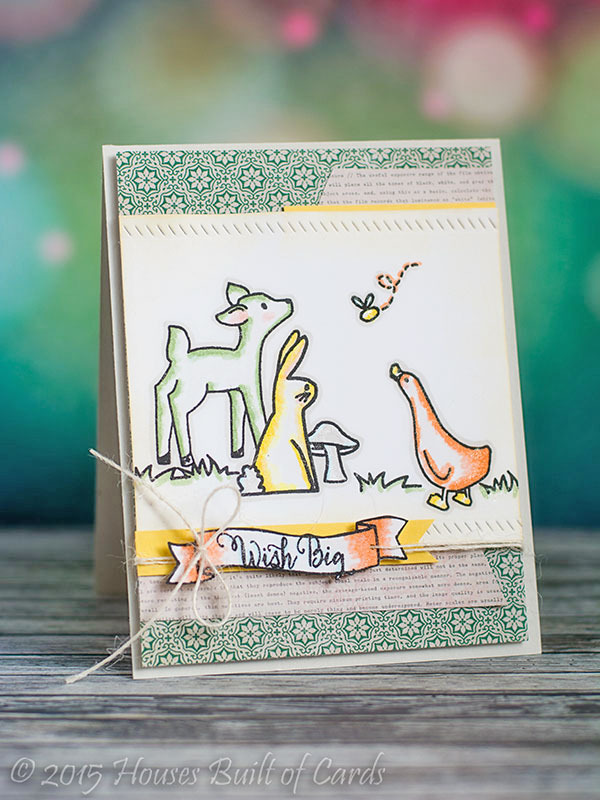 So...I sat down and made the first card, remembered to use both Lawn Fawn and Simon Says Exclusive stamps - and realized when I finished that I TOTALLY forgot the other important requirement: Get Crafty with Kraft! I added the jute twine bow, but it still seemed like not quite enough! So...I remade it to work in some more kraft color on a second card. I guess the bonus is that I end up with two cards, right? 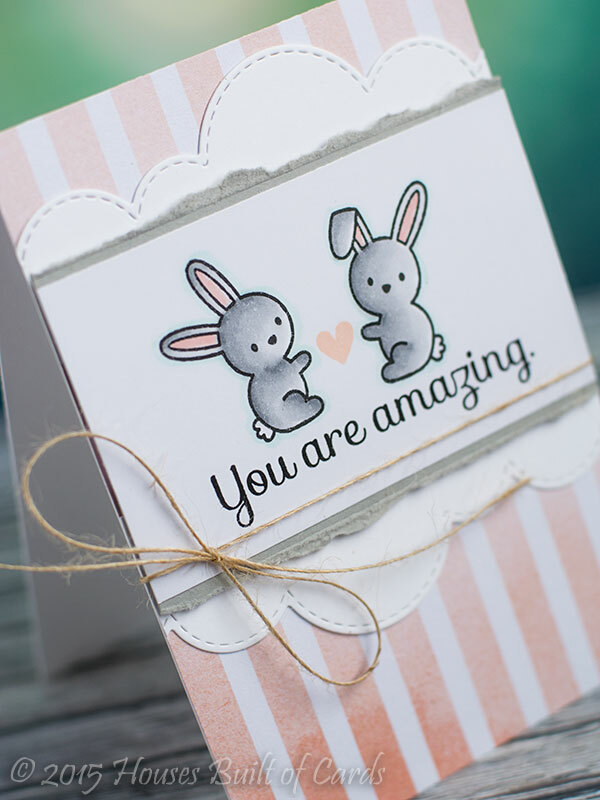 I used the bunnies from the Lawn Fawn set called Snow Day, and the sweet little heart - and the sentiment from Simon Says Inside and Out Sayings for both cards, but colored them up in gray and used torn gray cardstock under the edge on the first one. The scallops were cut with a Mama Elephant die, and the pattern paper is from American Crafts. On this one, I colored the bunnies up with "kraft" colors, and used torn kraft cardstock behind the front panel. Used the larger heart (just to change things up a little!) and a slightly different pattern paper. 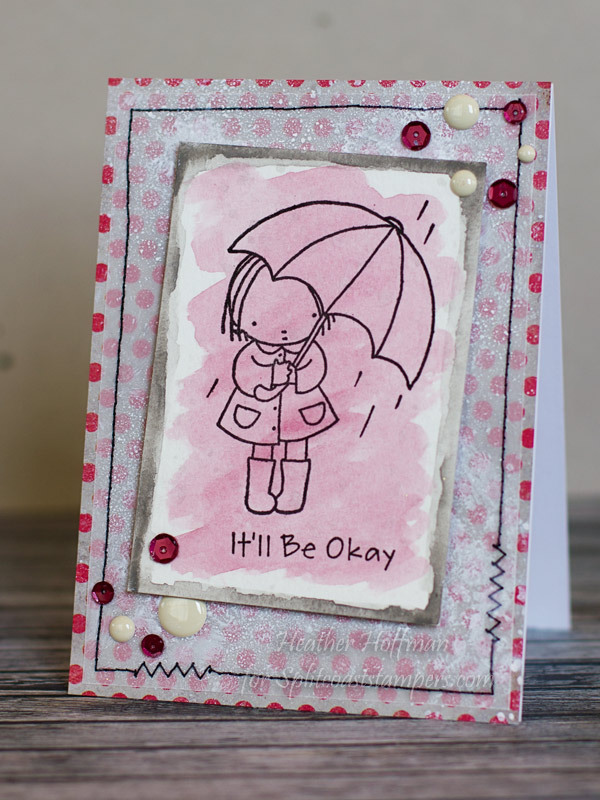 I also used my BRAND NEW MISTI on this - which was wonderful, because it allowed me to stamp the heart two times to get as rich and deep and dark a color as I wanted, and to be sure it would be in the exact same place. 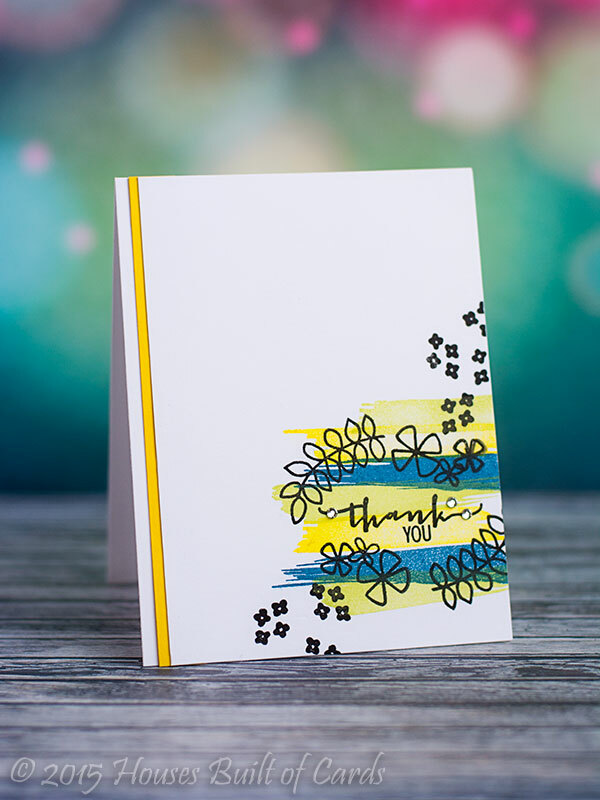 For this one, I used an image from the June 2014 Kit of the Month, and a sentiment from the March 2014 Kit of the Month - stamped very simply in black and white. Tore the edges on the main panel, added some pattern paper from American Crafts, and finished off with a huge yummy silk bow using May Arts Ribbon. 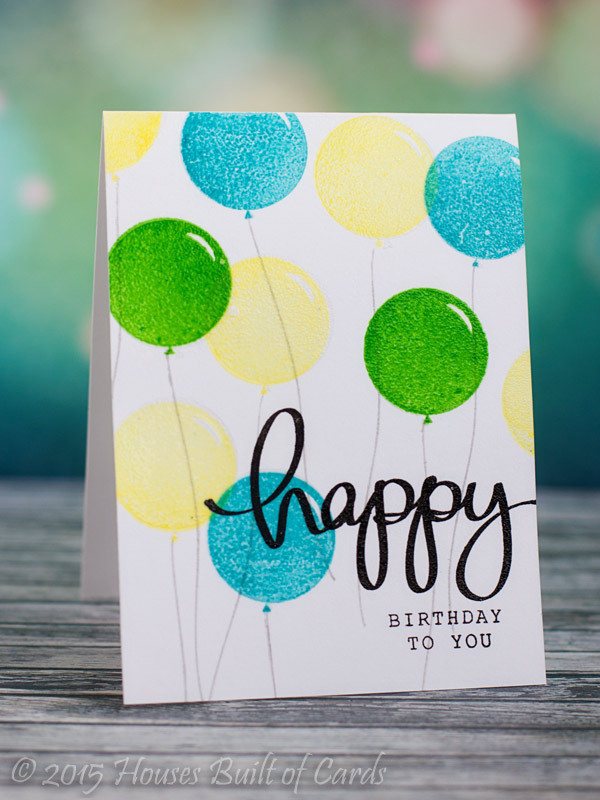 It's Your Birthday - Make a Wish! 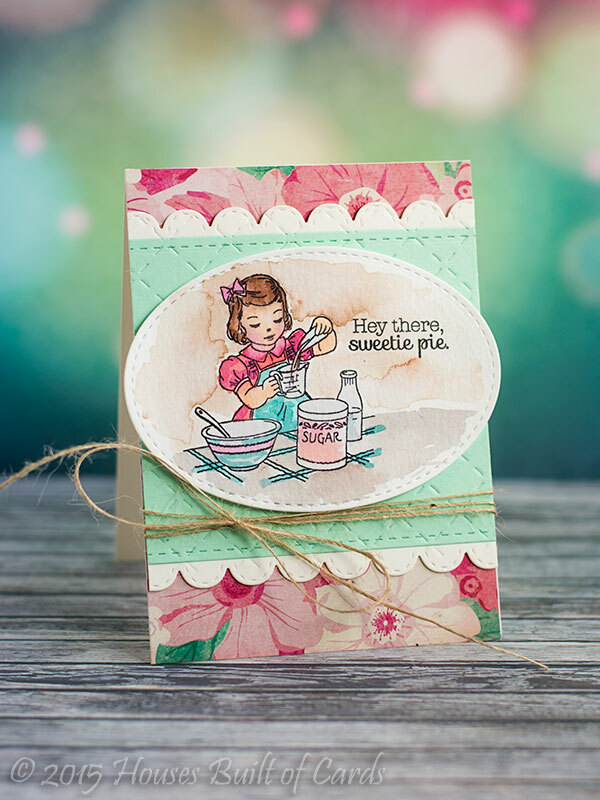 I used the darling new set called Pick of the Litter (I love vintage images - and this one is DARLING!) 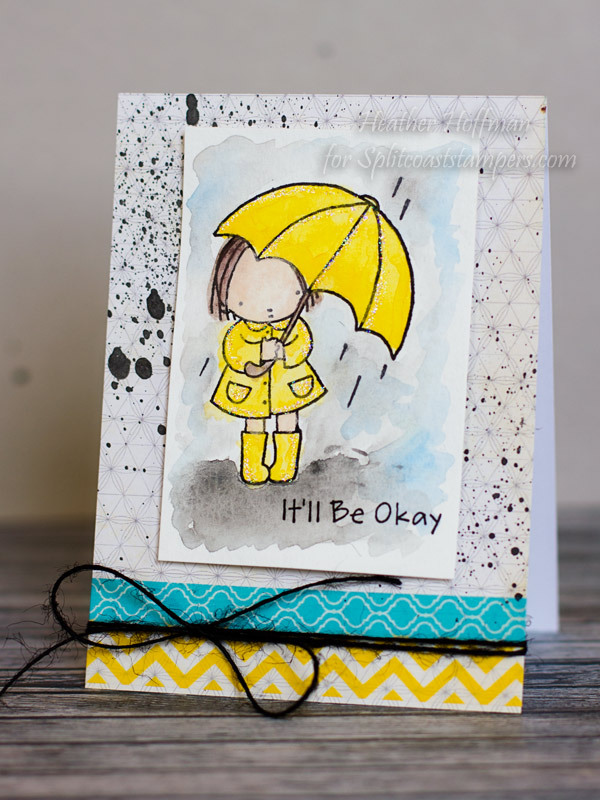 I used a similar layout to the inspiration cards that Maureen Merritt posted by masking off a circle with Post it Note tape, then filling it in with distress inks. 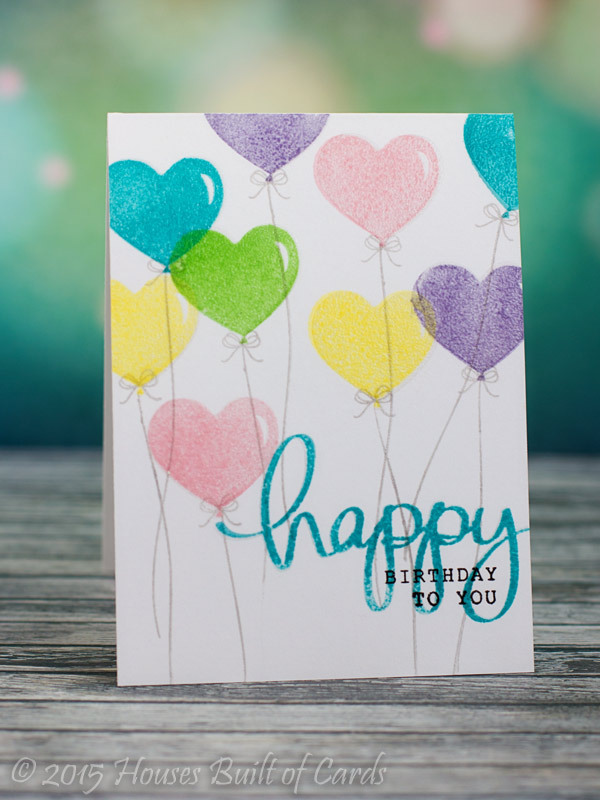 I did a little more random splatters than gradient, but I loved the color combo results! 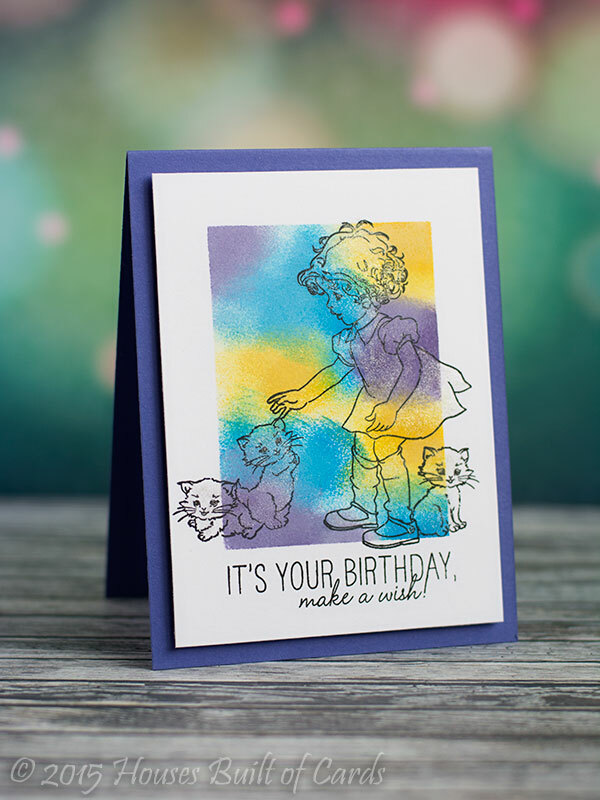 Once I removed my mask, I stamped my images, masking off to add the extra kitties, then added my sentiment with my oldest set from Wplus9, Strictly Sentiments. Finally, mounted with foam adhesive on a purple cardbase using MFT cardstock. Good morning! 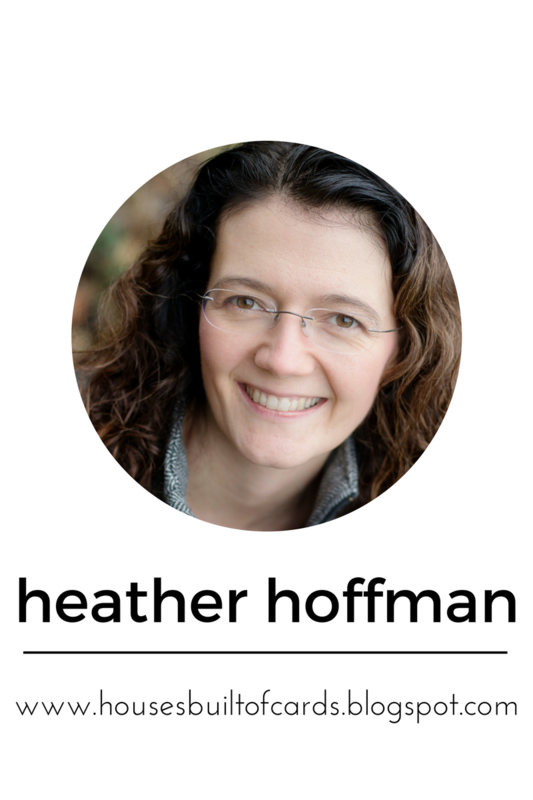 Also thought it would be fun to share a catch up post again today - another one from my term on the Splitcoast Stampers Dirty Dozen. This is actually two cards - a slightly simpler version, then a stepped up version of the same card! Here is the simple one - for this one I just did a simple wash of watercolor over the image, then around the edges to frame it. Layered some vellum underneath to soften the bold pattern paper, misted with a bit of white ink and machine stitched around the edges. Finished off with a few sequins and enamel dots. This next one, I took the time to watercolor in the image, and once it dried, added some stickles on the umbrella, raincoat, and rainboots. Misted my pattern paper again, added some washi tape and jute twine, and popped up the front panel. 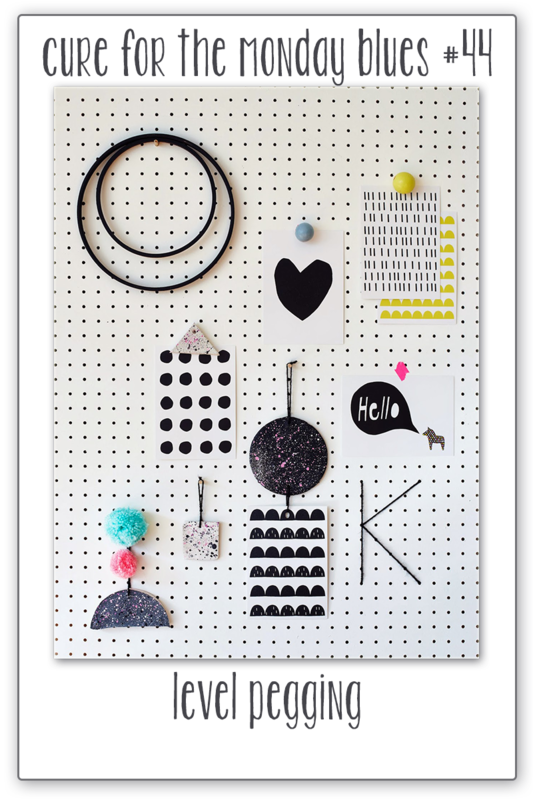 I loved all the white space, the little pops of color, and all the black! 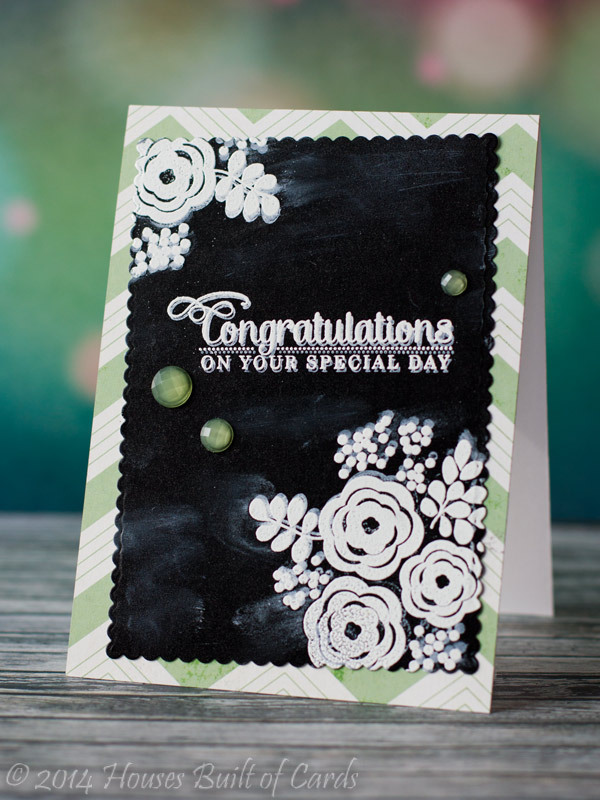 I used Brushed clear stamps to create the "watercolor" background with some Memento Luxe Ink that had slid a bit far to the back of my crafting supplies. Figured I better use it, or just give it away! Then I layered on my sentiment and the flowers in black using Fabulous Florals. Added a strip of yellow cardstock along the side, and a touch of bling to finish it off. Good morning! 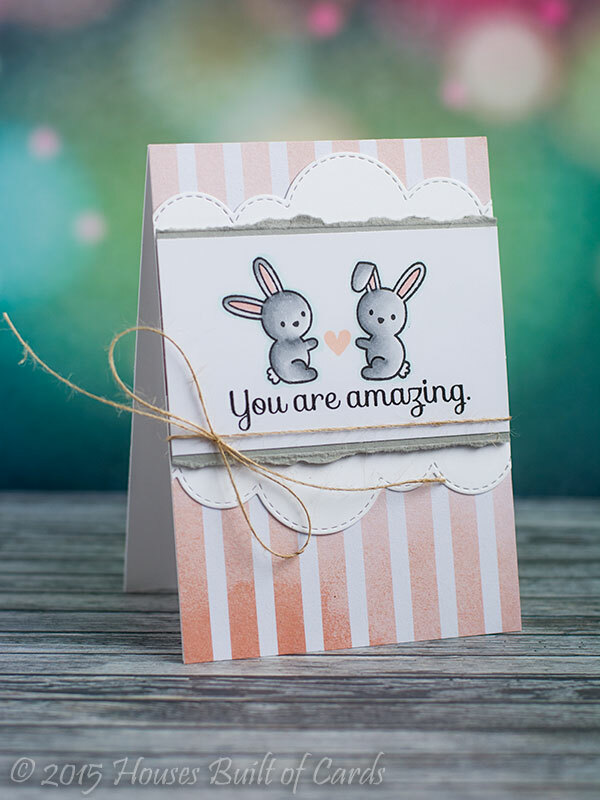 Popping in today with a little card I put together for the current color challenge over at My Favorite Things Challenge and Inspiration Challenge Blog - I love the color combo this time around! I was eyeing one of the sentiments from LJD Celebrate You, and thinking how it was almost shaped like a gift...then I looked at the bow on LJD Birthday Greetings, and it all came together! 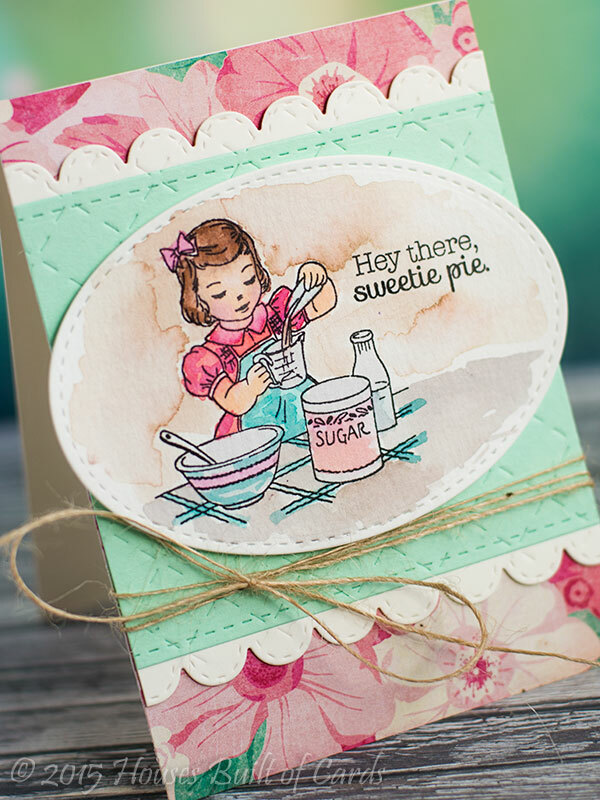 I stamped the words in Sno Cone, the bow in Cherry Crisp (stamped off once to soften it to match the softness of the blue a bit better), then did some die cutting and layering with Die-namics Stitched Scallop dies and Nightshift Blue cardstock. Added a bow with some Hemp Cord, and used foam adhesive between my layers before mounting on a woodgrain card base using Avery Elle cardstock from my stash. Good morning! I have a thing for cute vintage images, and still love watercolors - so I had a little time yesterday and thought I would pull out some of my Lil' Inker's Designs and play along one more time with their challenge this month! 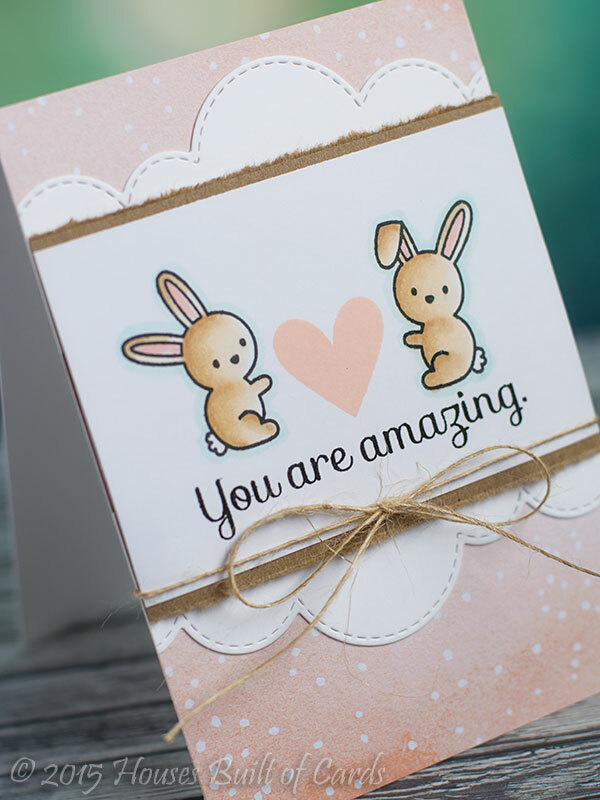 I used the super sweet Stirring in Lots of Love stamp on watercolor paper, and die cut it with Stitched Mats Ovals, then painted it in with watercolors. I used Stitched Scallop Border Dies and Stitched Mats Rectangles to cut the center panels (the green is Simon Says Cardstock - so soft and minty green!). 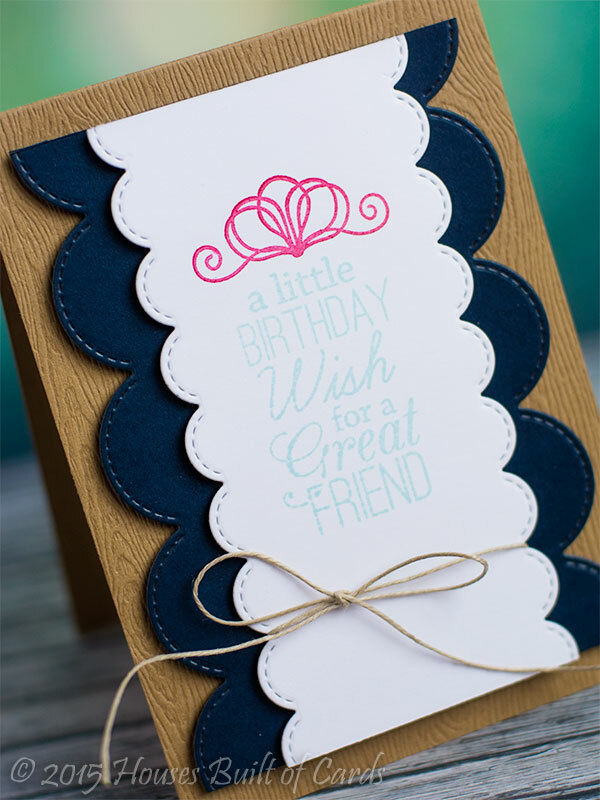 It felt like it needed a little texture, so I ran it through my Cuttlebug with the Quilted Stitched Pattern Die - only I did it as an embossing plate, so it added more of a soft stitched feel. LOVE how it worked - it was the perfect texture! Finished off with some Crate Paper pattern paper, and some jute twine tied in a bow. I stamped it on some pattern paper from Basic Grey, then covered it with Wink of Stella to make it sparkle - I'm always sad that you can't see that better in the pictures! Matted it at an angle with white and black cardstock on top of some floral paper from the same paper pad, and finished off with a few black self-adhesive gems I had in my stash. I used a Simon Says Stamp metal die to cut the feathers, cover with distress inks, then mist with sparkly Mister Huey's to get that lovely effect. 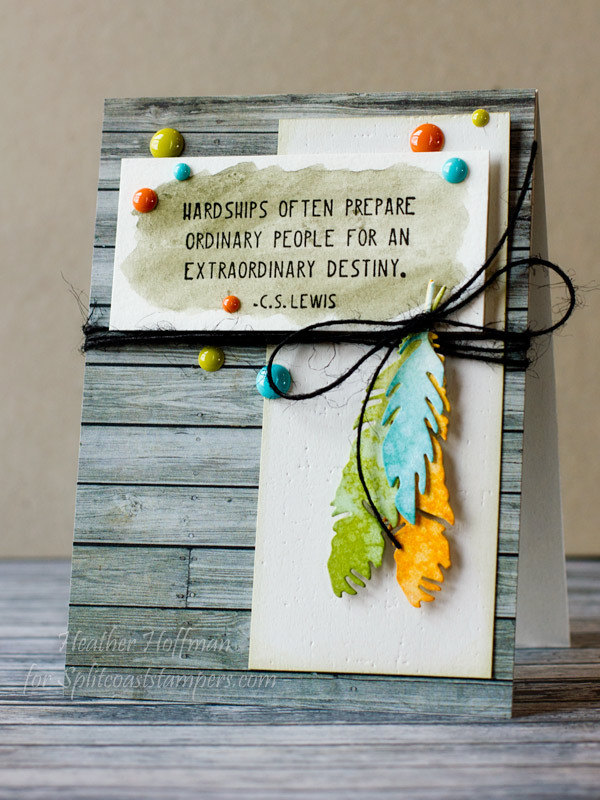 The sentiment is from the November 2013 KOTM - I stamped it and then washed over with some Tim Holtz distress stain. Lots of enamel dots, some My Mind's Eye pattern paper, a bit of jute twine, and some texture with PTI's Linen Impression Plate finish this one off. Thanks for stopping by! 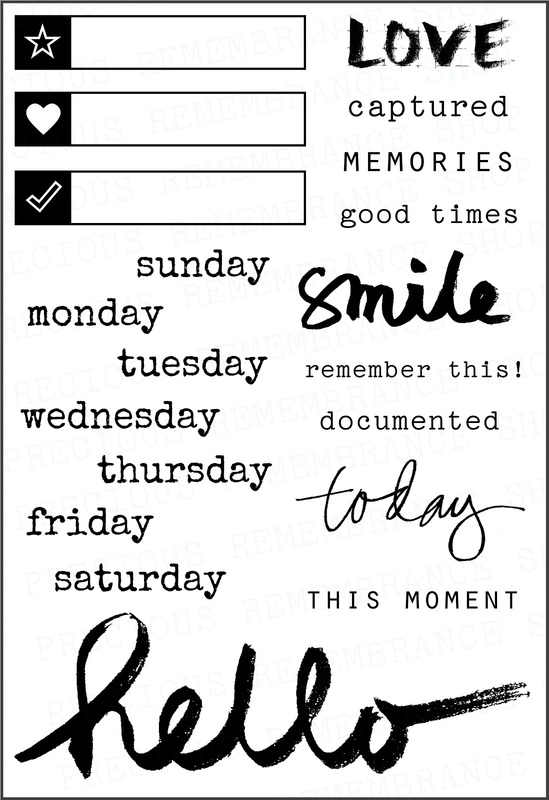 Have a wonderful Friday! 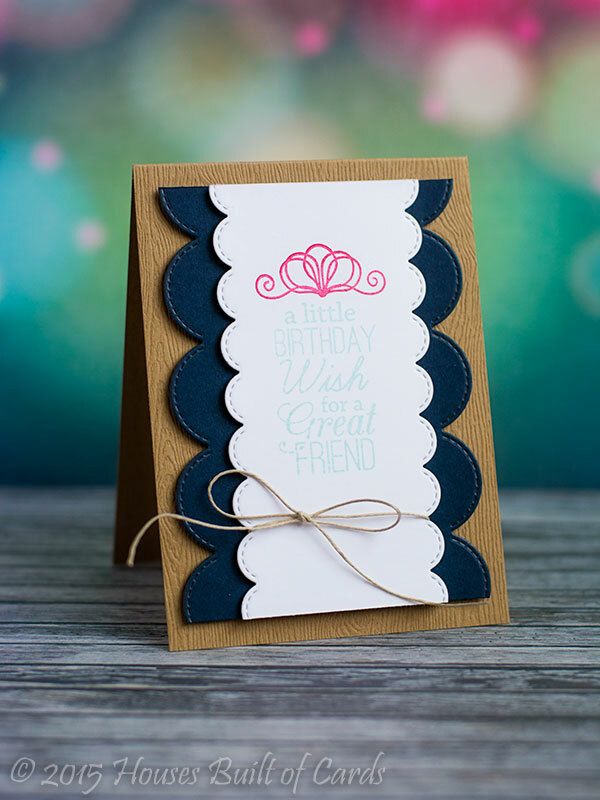 I really wanted to use the Stitched Speech border die that is the free with $60 purchase this month - and that border of presents looked like it would be perfect in a wave! 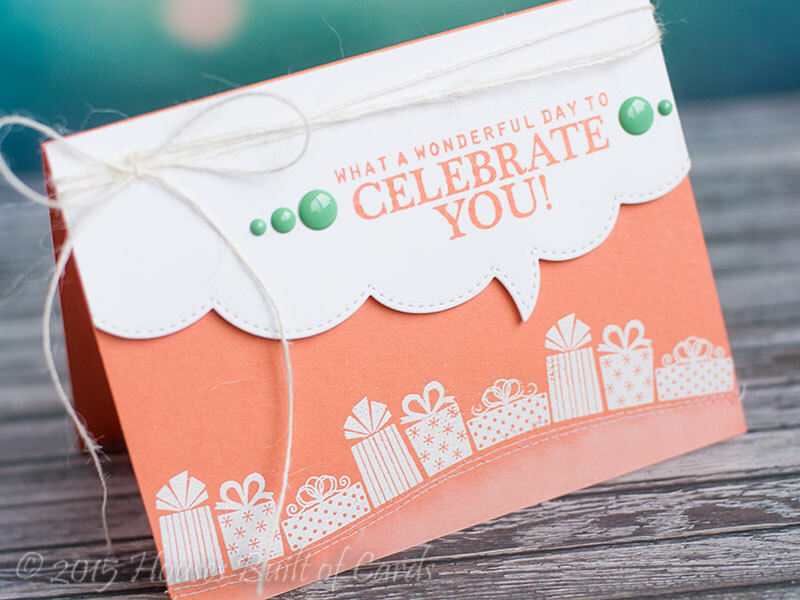 So...I used some Coral Crush cardstock, curved the gift line from LJD Celebrate You on my clear block, then heat embossed it in white. I added a double row of machine stitching, then sponged in some Sweet Tooth pigment ink to ground it. 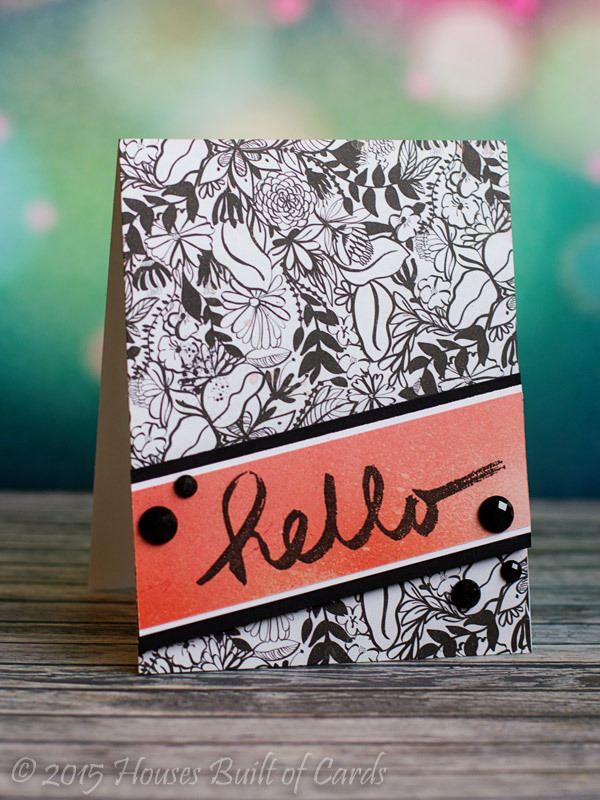 Next, I made my speech bubble at the top, then stamped my sentiment from the same stamp set using coordinating Coral Crush Die ink, wrapped some twine around, added a few enamel dots, then attached to my card base with foam adhesive. Good morning! Just dropping by with a trio of catch up cards from last year. 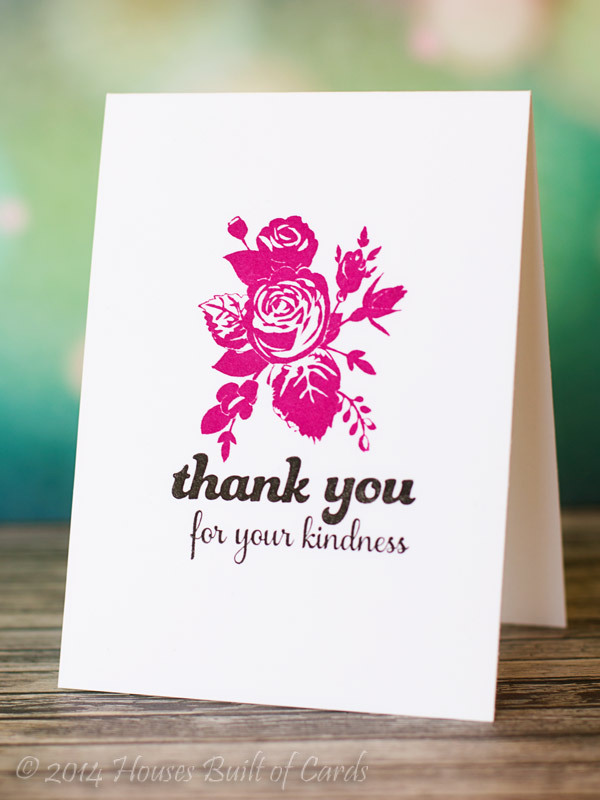 I set out at one point to make some very simple, one layer, and easy to reproduce thank you cards - although I never ended up making more than the 3 of them (at least yet!) - it was a fun challenge. 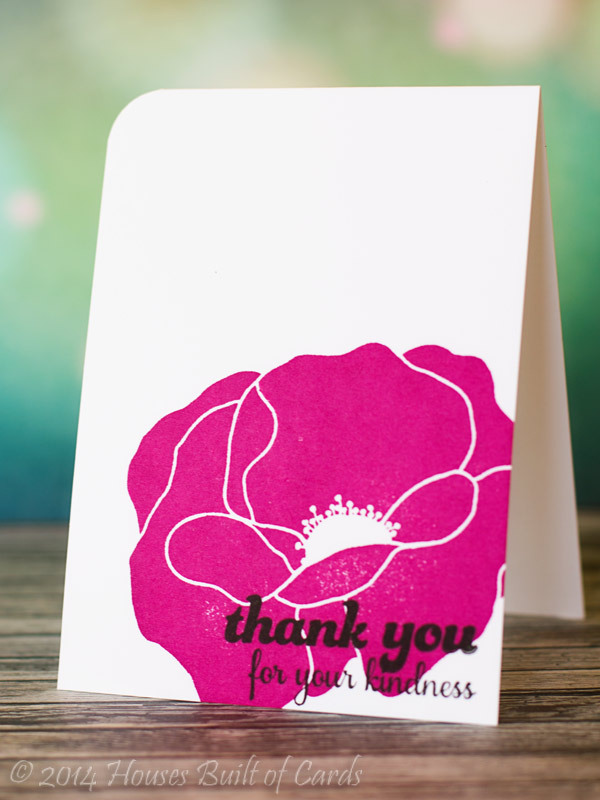 I used floral stamps from Unity, sentiments from Paper Smooches, and two shades of Hero Arts ink. 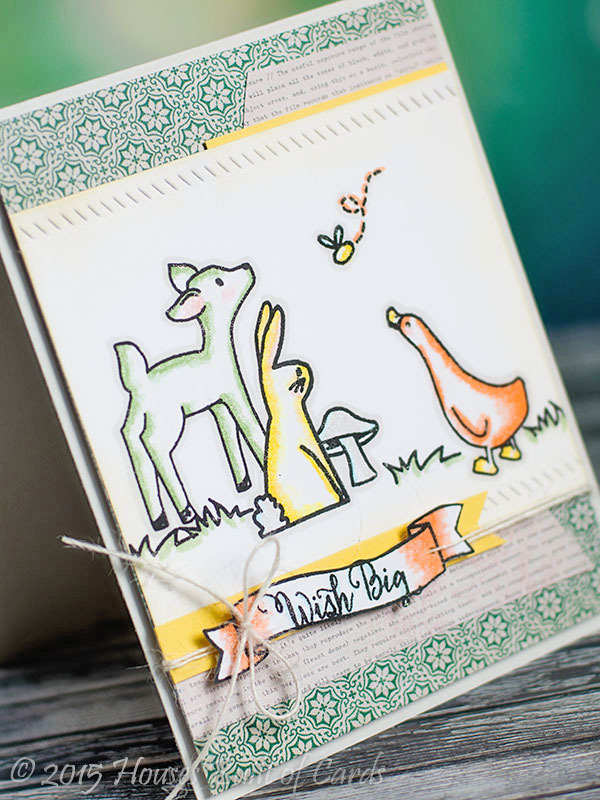 I used both Storybook and More Stories, stamping the bunny first, masking it off with Post It paper, then stamping the other critters. I colored it in to mimic a vintage storybook feel, and added Wink of Stella to the colored portions - you can almost see it in the pictures! The center panel was cut on the top and bottom using Finished Frames ELLE-ments Dies, and I applied Antique Linen distress ink to the edges to finish off the vintage feel. I fussy cut the banner after stamping my sentiment, and added some jute twine. 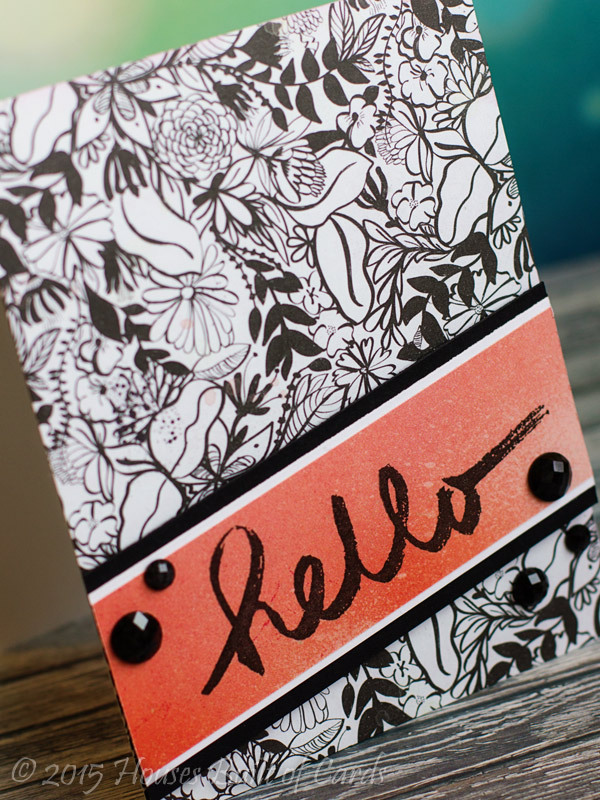 Pattern paper is (appropriately) from Crate Paper's Open Book 6x6 paper pad, and I mounted it on a soft gray card base. Good morning! 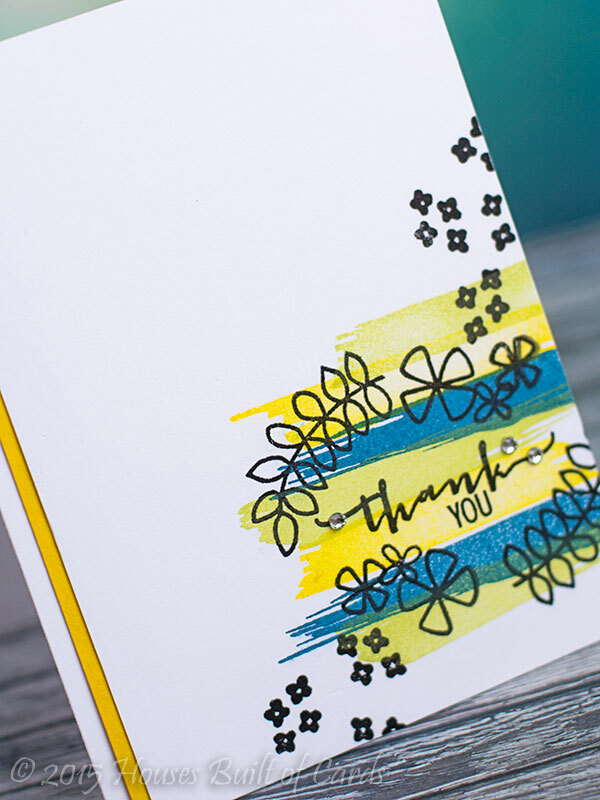 Sharing another catch up post from last year - another one from my term on the Splitcoast Stampers Dirty Dozen! 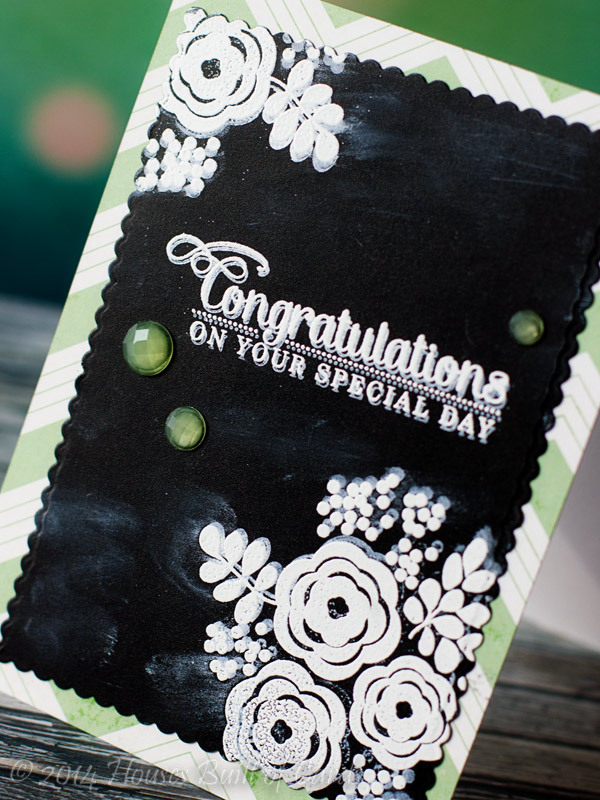 This one uses Unity's Faceless Beauty stamp set - very simply embossed with it's sentiment on vellum, then layered over some pattern paper from Basic Grey and Glitz Designs, and attached with my Tim Holtz Tiny Attacher. Thanks for stopping by yet again! Smiles! Good morning! 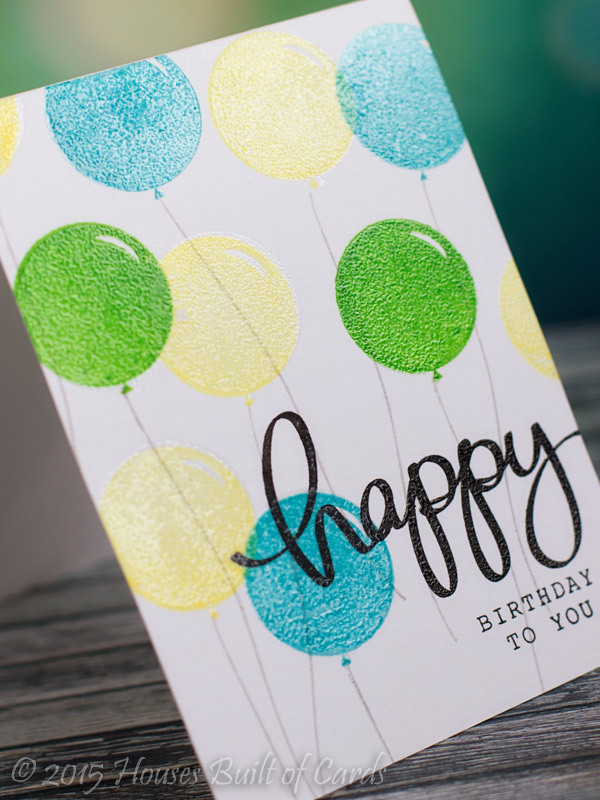 Just thought I would pop in a share a couple of one-layer birthday cards I made recently, using clear embossing powder to add a little texture! 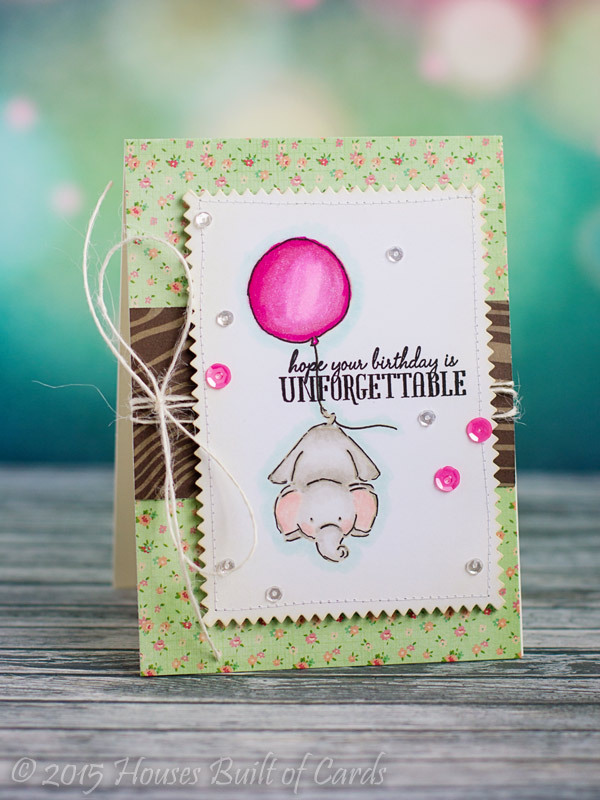 I used the cute Mama Elephant stamp set called Party Kit to stamp the balloons - stamping in a rainbow of MFT inks, then stamping over again with Versamark Ink and embossing with clear powder. Love the slightly offset look I ended up with, and the beautiful shine! 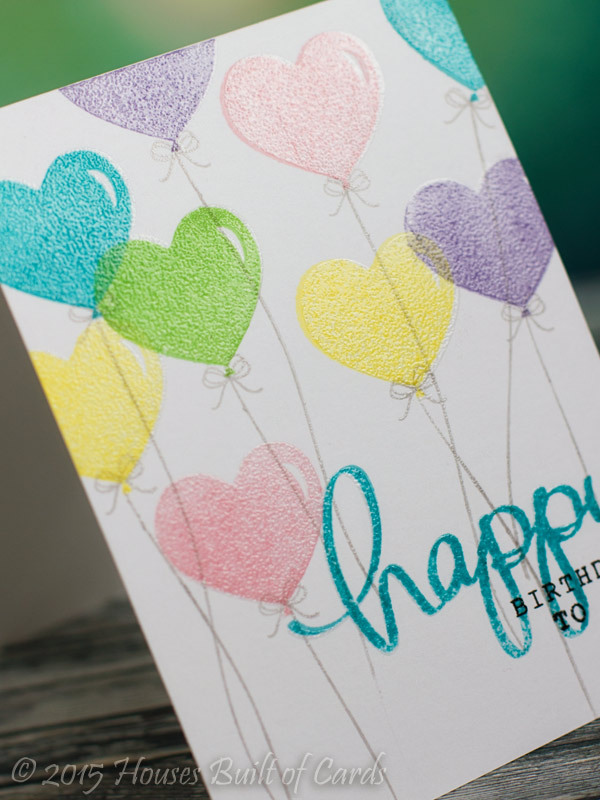 This next one I did a more masculine color scheme, and didn't use the heart shape balloons! I used Happy Everything for the sentiment on both of these. 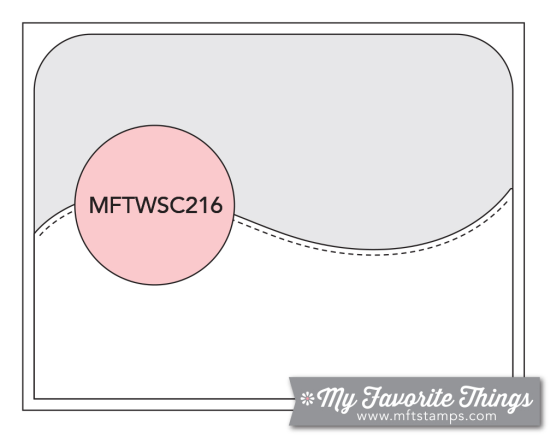 There you go - super flat and easy to mail, but still with a bit of a fun touch of texture! Good morning again! 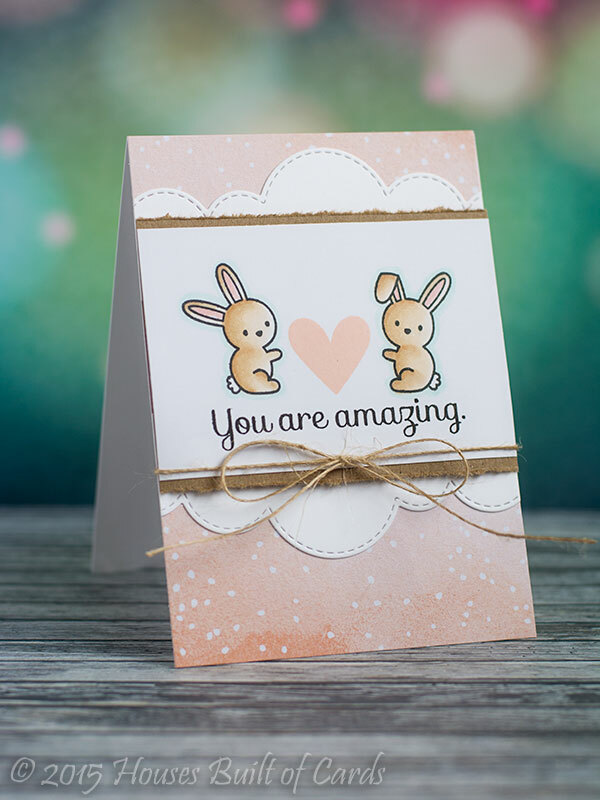 Also dropping by with a quick catch up post from last year's made but never posted cards! This was also one I made for the final PC Magazine publication call. 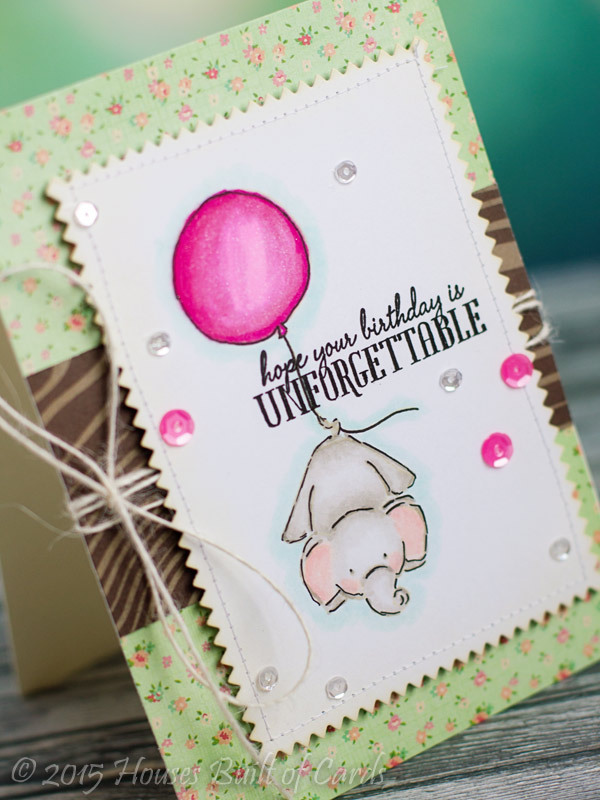 I used the beautiful Mama Elephant set called Water Blooms and a chalkboard technique for this card. I also used the scallop from the Index Card die set to cut the front panel. Pattern paper is from MME, and the bling (that matches SOOO perfectly!) came from Michael's. Thanks for stopping by again! Have a great day!!! 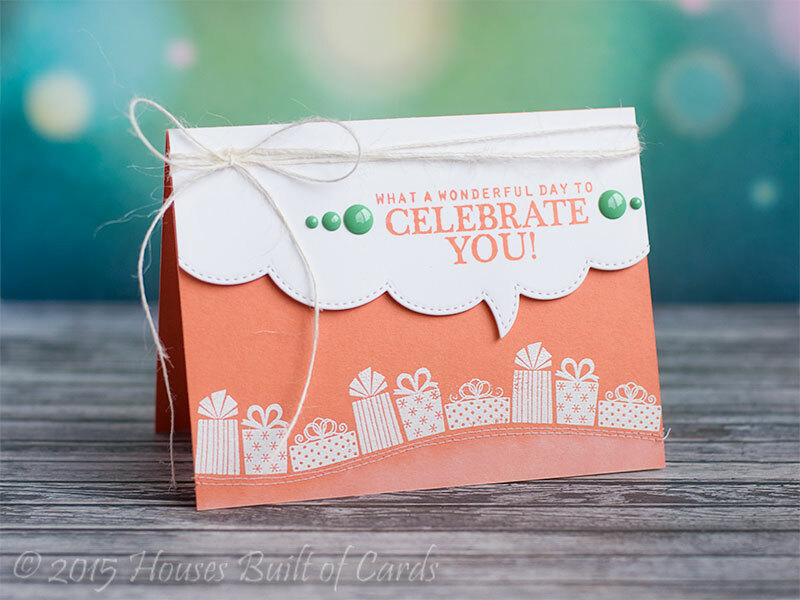 I didn't realize until I was all finished that I didn't stamp the party hat on this one, but I love it this way too! I might even like this one a little better! Did the same coloring, stamped with Antique Linen Distress ink, then colored with Copics, and added some detail lines back in with a Copic multiliner. Wink of Stella on the balloon, ears, and cheeks - and a sprinkling of Avery Elle and Pretty Pink Posh sequins to finish it off! I liked the pops of gold and mauve, as well as the main layout with the off white, soft blue, and white colors - not to mention the cluster up at the left corner! 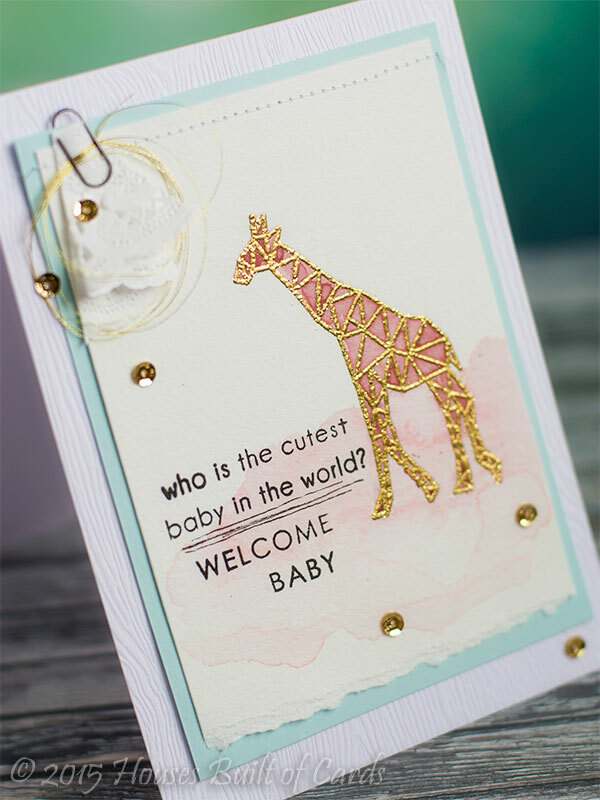 So, I used the giraffe from Geometric Menagerie and heat embossed in gold on watercolor paper, then colored with a water brush and distress inks and sewed onto my blue cardstock panel.. 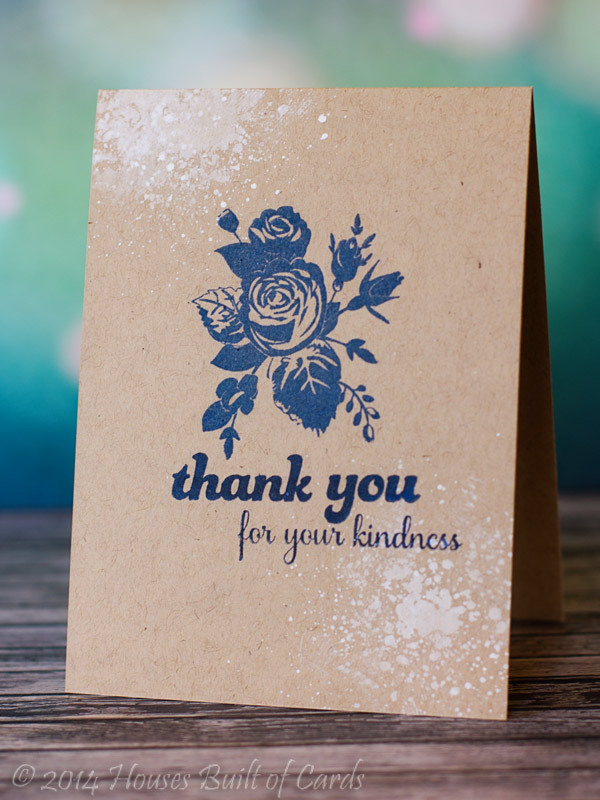 Stamped my sentiment using Sentiments and Quotes, then folded up a tiny piece of doily and attached with a tiny Tim Holtz paper clip and a loop of gold thread tucked in. 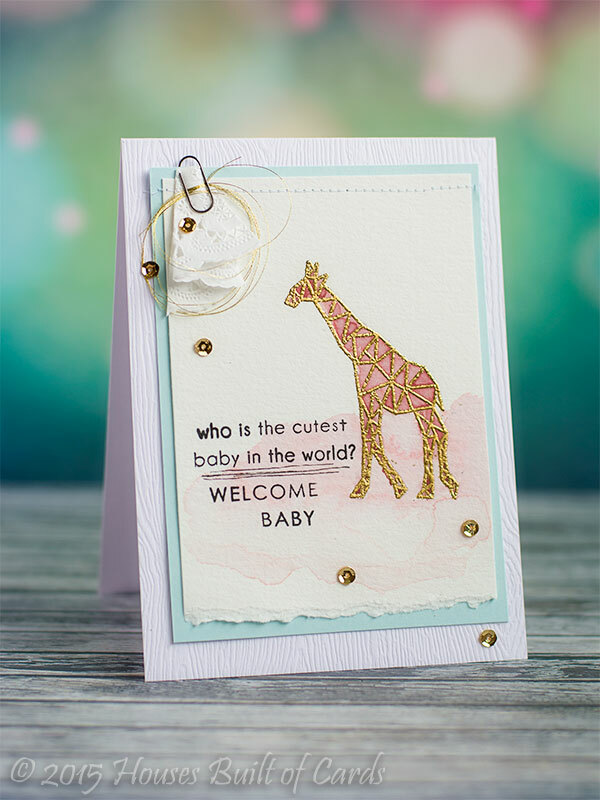 Added a sprinkling of gold Pretty Pink Posh sequins, and mounted the entire thing on a card base made with Avery Elle Woodgrain cardstock. Cupcake for your special day! Hey Foxy - What's Canoe? 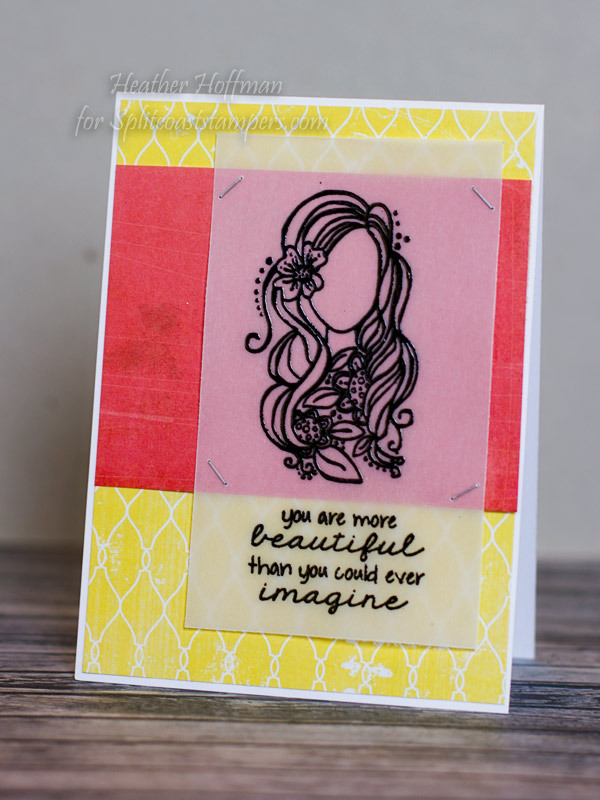 Little Tangles Challenge - Guest Designing!